American Idol auditions keep on truckin’ , this tme out to the Gateway To The West, St. Louis, Missouri which gave us Season Four’s mega-superstar winner, Carrie Underwood. Johnny Keiser is up first and hails from Pompano Beach, FL, goes to school in Orlando, and sings “A Change Is Gonna Come” and I’d say with that audition, he changed his life. He even riffed with Steven a little and JLo kept cutting him off to talk then said “keep singing!” He has the sun kissed, all-American look and the voice to more than back it up. I predict Top 40 for sure, I can see him in the Top 12 for Boys too although it’s a really stocked category. Rachelle Lamb is a single mom with a “that man held me back story” that usually seems to accompany that title on these shows and brings her pretty daughter in the room with her while she auditioned. Her revenge song of choice is an ode to her ex, Faith Hill’s “Find Somebody New.” She was good, not great– she would get swallowed up and forgotten with any real country singers and although she gets a Golden Ticket to Hollywood, I predict we won’t see her again. Reis Kloeckener has a sad story and a sweet voice which are usually Idol gold and this time translated into a Golden Ticket for his rendition of “Lean On Me.” He’s a sweet boy but his voice is weak and too breathy; he’ll get overshadowed in a heavily talented group of Boys. Ethan Jones came to audition with a bloody forehead and a sad, inspiring story: his dad founded a popular St Louis band and after a few bouts in rehab is now supporting his son’s dream while fighting to stay clean with another bout in treatment. 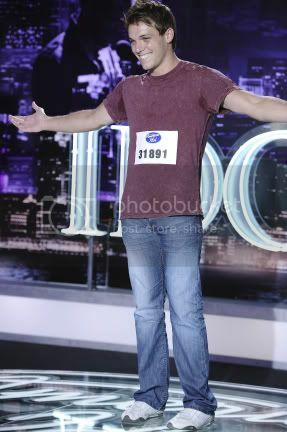 Ethan charms the judges with Edwin McCain’s “I’ll Be” and while he was heavily spotlighted tonight and the judges gushed all over themselves with their easy yeses, I don’t see him advancing far. Our final audition of the night is Lauren Gray who runs the family business and is in a Southern rock band with her dad. She’s a natural for Adele’s “One And Only” and takes it to a bluesier, grittier place. 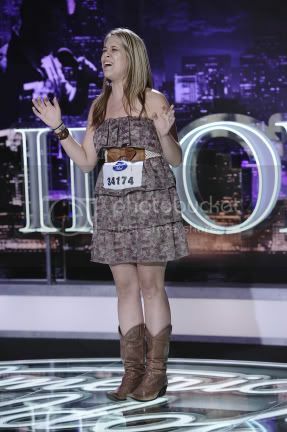 She reminds me a lot of Season Nine’s runner-up, Crystal Bowersox. 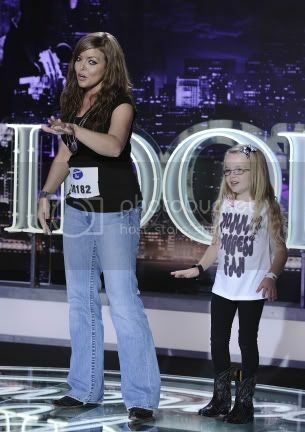 She’ll be fun to watch and she made JLo cry with the song choice. I say Top 40 for her but I can’t see her as a winner at this point. Although JLo says at the end: “I have two words to say for the day – Lauren Gray.” So I may be wrong after all. Stay tuned and check back for my reviews and recaps. Next Wednesday, February 8 is not only National HippyGirlHeather Day, it’s also the first night of Hollywood Week which Ryan Seacrest promises to be the biggest and most dramatic of the show’s entire history. I’ll be the judge of that, Ryan!